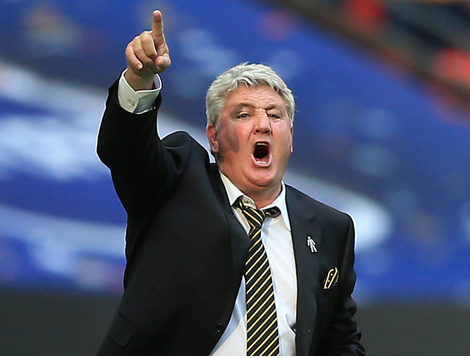 Steve Bruce has admitted he is hoping to be offered the England job. After a series of interviews with the FA, the Hull manager said he’d be really proud to be put in charge of the national team. His club confirmed on Monday that Bruce had held in-person talks with Football Association vice-chairman David Gill, technical director Dan Ashworth and chief executive Martin Glenn. He is one of at least two candidates, along with Sunderland boss Sam Allardyce, that have been interviewed to succeed Roy Hodgson and Sky sources understand the FA are attempting to make an appointment by the end of this week. “Who wouldn’t [want to be England manager], if you’re English?” Bruce told Sky Sports News. “It’s got to be the one prime job any Englishman can ever want to have. I’m highly flattered and extremely grateful to even be considered.